Hood River, Oregon – Full Sail Brewing has just announced the release of the next beer in their new rotating line of classic ales called the Pub Series. The second beer in the series, Extra Special Bitter (ESB) is a medium-bodied ale with caramel complexity and a crisp hoppy finish. 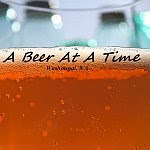 This new series features ales that had only previously been available at Full Sail’s Tasting Room & Pub. “For as anyone lucky enough to stop for a pint at our Pub in Hood River, Oregon, knows it’s a spectacular place to share a beer with friends. 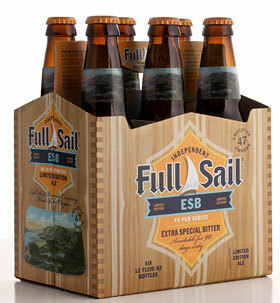 The Full Sail Pub Series captures that experience in a bottle and lets you share it with all your friends. Each selection will be available for only 90 days before the next gets its turn to shine. Just like each epic season in the Gorge,” said Irene Firmat, Full Sail Brewing’s Founder and CEO.